Bonnie Wilkom – Paget-Brown Trust Company Ltd.
Bonnie is the COO and a Director at Paget-Brown Trust Company Ltd having joined the firm in 1996. Bonnie supervises operation of the trust management division, aircraft and yacht registrations, on-going client director regulatory compliance, client acceptance and compliance matters. Bonnie also supervises a team of corporate administrators in the company management division handling client companies, limited partnerships, SPV’s and other entity types involved in international finance, debt restructuring & other activities. Bonnie has diverse experience in the financial services industry working with multi-national and institutional clients whose structures include hedge and private equity funds, special purpose vehicles as well as Islamic financing structures to facilitate acquisitions in the U.S., Europe and the Middle East and North Africa. Bonnie is a graduate of California State University, Chico, where she earned a degree in International Relations. She is a member of the Society of Trust and Estate Practitioners and the Cayman Islands Directors Association. 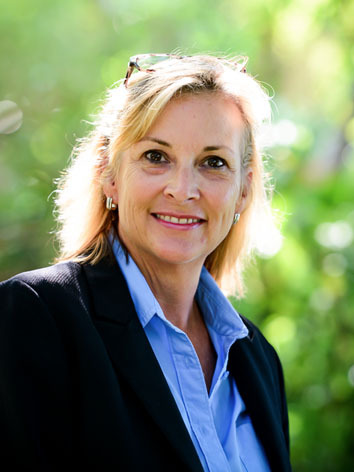 Bonnie is also a notary public registered in the Cayman Islands.